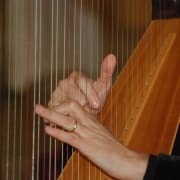 Seeking musicians who play the harp to share their music with Hospice Patients; to bring comfort and peace. All volunteers must complete a 2 hour hospice volunteer training, pass a TB test and background checks. Volunteer sets their own availability and volunteers for as much or as little time as they are able to commit.